It’s the birthday boy’s month. This man needs NO intro! Yes, we are talking about one of the most influential and bankable star, our Padma Vibhushan Superstar Rajinikanth! Who else can fit the December’s Star? Advance Happy Birthday to our ‘Petta’ Super Star! 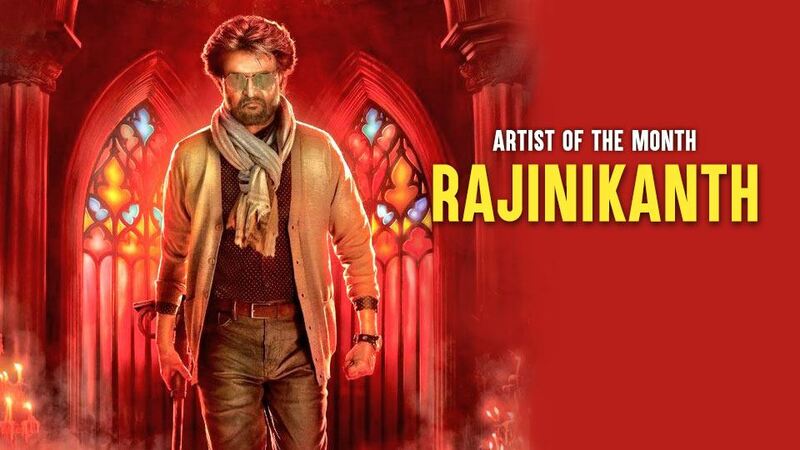 Rajinikanth's mass popularity and appeal is largely drawn from his mannerisms and stylized delivery of dialogue! Rajinikanth was born as Shivaji Rao Gaekwad in a Marathi family in Karnataka, India. His ancestors are from the village of NachiKuppam in Krishnagiri district, Tamil Nadu. He was the fourth child of his parents, Jijabai and Ramojirao Gaekwad, a police constable. He lost his mother at the age of 8. He did his schooling at the Acharya Paathshala in Basavanagudi, Bangalore. Later, he married got Latha Parthasarathy on February 26, 1981, at the age of 31 in Tirupati, Andhra Pradesh. They have two beautiful daughters, Aishwarya Rajinikanth and Soundarya Rajinikanth who are on cinema lines too! Bus Conductor To Cinema Star, How? He joined the Madras Film institute in 1973 with the help of his friend Raj Bahadur, a fellow bus driver and completed a basic course in acting. Rajinikanth made a foray into Bollywood with Andha Kanoon, but did not make as much of an impact as he had in the south. He still appeared in a few films in Hindi, such as in Chaalbaaz with Sridevi, Uttar Dakshan, Geraftaar and Hum. In 1975, he entered the Tamil cinema through ‘Apoorva Raagangal’ (1975) as an anti-hero. K. Balachander gave Rajinikanth a relatively small role as the abusive husband of Srividya. Later, he even made his Hollywood debut with the movie Bloodstone in 1988. However, the movie failed in the United States. Not long after that, he has attained a position as commercial star. His fan base grows worldwide when his movie Muthu screened in Japan. After acting in Shankar’s Sivaji, his commercial stardom went high where there was even an argument states he no longer performs on screen but rather appears as a star who can do anything, such as stopping bullets and more. However, the fans celebrated him back in Kabali and Kaala for the performing nature. He was portrayed as family man who gave impontance to family relationships. He is blessed with an amazing friendship. His friend Raj Bahadur, with whom he is still close, encouraged him to pursue his dreams and become an actor. Bahadur is the one who asked him to enroll in the Madras Film Institute. Rajinikanth has starred in 11 Tamil remakes of Amitabh Bachchan films like Deewar, Amar Akbar Anthony, Laawaris and Don among others. Mannan was the first film, he sang for. ‘Adikuthu Kuliru’ was sang by him.